Futureshop has revealed a Motorola Xoom WiFi model pre-order page and has the dual core tablet coming April 8 at a price of $599.99. The much anticipated tablet boasts a dual core processor and a whopping 1GB of RAM. The Motorola Xoom also features Android Honeycomb 3.0 and comes with 32GB of internal memory. The MOTOROLA XOOM is tablet computing like never before. Built on Google’s Android Honeycomb platform, it delivers unprecedented speed, features, entertainment, and utility on an incredibly sharp 10.1-inch multi-touch display. Combining the rich features of a computer with the ease and intuition of a smartphone, the XOOM delivers a completely unique experience in portable computing. To pre-order your Motorola Xoom today, head to futureshop.ca. A big thanks to Dox for the tip. TORONTO, March 21 /CNW/ – Motorola Mobility Canada today announced the MOTOROLA XOOM™ Wi-Fi will be available in Canada this April. MOTOROLA XOOM was called “the most potentially disruptive technology” by CNET at the 2011 Consumer Electronics Show, and delivers a new type of mobile computing experience on a 10.1″ HD display – higher resolution and more screen size in a smaller package than the leading competitor – with Android 3.0 (Honeycomb). MOTOROLA XOOM showcases the innovations of the Honeycomb user experience – including widgets, true multi-tasking, browsing, notifications and customization – on a 10.1-inch widescreen HD display, enabling video content that’s richer and clearer than ever before. With a 1GHz dual-core processor and 1 GB of RAM, MOTOROLA XOOM delivers exceptionally fast web-browsing performance. The latest Google™ Mobile services include Google Maps™ 5.0 with 3D interaction, and access over 150,000 apps from Android Market™. MOTOROLA XOOM also features full support for features such as tabbed browsing, bookmark syncing and Adobe® Flash® Player1 to deliver a rich and powerful web browsing experience. “MOTOROLA XOOM brings PC-like power to a tablet, providing consumers with an easy-to-use, lightning fast experience designed with fun and productivity in mind, and we’re thrilled to bring it to Canadians,” said Jeff Miller, corporate vice president, Motorola Mobility. With 1280×800 resolution to support HD video and with HDMI out; a 5-megapixel rear-facing camera for HD video capture and 2-megapixel front-facing camera for video chats; and a built-in gyroscope, barometer, e-compass, accelerometer and adaptive lighting, MOTOROLA XOOM is leading the tablet revolution. MOTOROLA XOOM supports up to 10 hours of video playback and charges in nearly half the time of competitive tablets on the market. 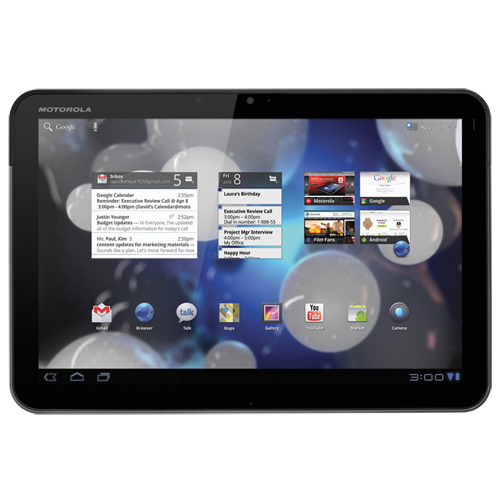 Visit Motorola.ca to learn more, including where MOTOROLA XOOM with Wi-Fi will be available to purchase. Motorola XOOM 3G will also be available in Canada mid-year. Certain features, services and applications are network dependent and may not be available in all areas; additional terms, conditions and/or charges may apply. All features, functionality and other product specifications are subject to change without notice or obligation. Contact your service provider for details. MOTOROLA and the Stylized M Logo are trademarks or registered trademarks of Motorola Trademark Holdings, LLC. Android, Android Market, Google and Google Maps are trademarks of Google, Inc. All other product and service names are the property of their respective owners. 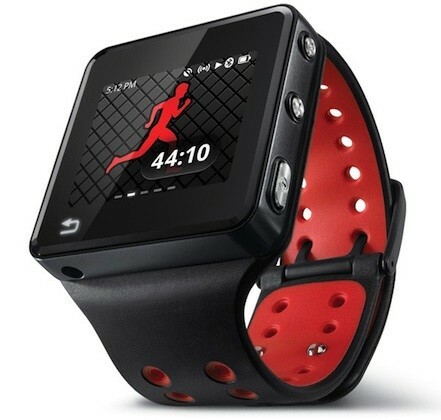 © 2011 Motorola Mobility, Inc. All rights reserved. Jamie Forestell is the Editor-in-chief and also the founder of Tek Tok Canada. His knowledge and aptitude for Technology led him to create a central website for all Canadians. His strong passion for the Technology world helps keep him to stay abreast of leading-edge technologies and his desire to spread this information was the driving factor behind the creation of Tek Tok Canada. I think the best way for Motorola Xoom to compete with iPad is by dropping their price. It is very hard for consumers to try something new since the Tablet device was an innovation of Apple. We all know how good the features of Xoom are but since people only knows one brand when it comes to tablets, all of this will go into waste.